If you want to protect your smile and your systemic health, it is essential to schedule a dental exam at our Phoenix, AZ, practice every six months. At these visits, our doctor will visually inspect your mouth, looking for cavities, gum inflammation, and similar concerns. Dental exams are instrumental in diagnosing and treating oral cancer, a disease that is typically asymptomatic in early stages. While oral cancer can be life-threatening, it is also highly treatable in the early stages. At Advanced Dental Health, we will take x-rays to determine the state of your smile. Dental exams have proven to be instrumental in discovering, diagnosing, and treating oral cancer while it is still curable. In most cases, we will take x-rays once a year. However, if we notice anything unusual, or if you are experiencing discomfort, we may take an extra set of images. If we diagnose any dental problems, your dentist will recommend an appropriate course of treatment. We offer a full range of cosmetic and restorative treatments, so we are sure to offer a procedure that meets your needs. Finally, at your exam, we will discuss your long-term oral health and provide tips to improve your at-home dental care. Routine dental exams can benefit your oral health as well as your overall health. 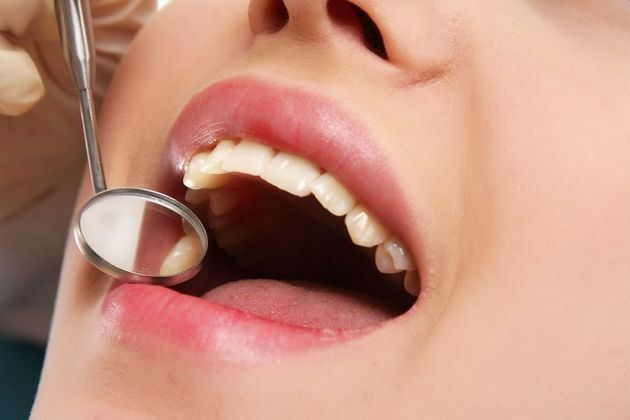 Oral cancer screenings are an essential part of any dental exam. Oral cancer is a serious health concern and has a high mortality rate. Fortunately, with regular dental exams, patients have a good chance of detecting the disease in the early stages when it is most treatable, and before it spreads to other parts of the body. In the early stages, the condition often does not manifest in any noticeable symptoms. Therefore, oral cancer screenings are the most effective – if not the only – way to diagnose the disease in a timely manner. During a cancer screening, your dentist will look for the early, often overlooked signs of oral cancer. These include gum lesions, white or red patches, and bleeding gums. If your dentist notices anything out of the ordinary, he or she will normally order a biopsy. Then, if needed, we will collaborate with your treatment team to provide comprehensive, even life-saving care. How Often Should You Schedule Dental Exams? We recommend that you come in for a dental exam every six months. In some cases, you may benefit from more exams per year. For example, if you have recurring decay or existing gum disease, more frequent visits can help to protect your dental health. You might also schedule more exams if you have a personal or family history of oral cancer. Do not neglect this vital component of your oral and physical wellness. Contact Advanced Dental Health to schedule your routine dental exam. With ongoing care, we can protect your smile and your physical health for many years.